Find a big grey building. Take a picture of water. Read a book in a park. Eat lunch at a restaurant. Drink a lot of iced tea. We printed out our lists, got our clipboards, pens, backpacks and were off. Our first stop was “lunch at a restaurant”. 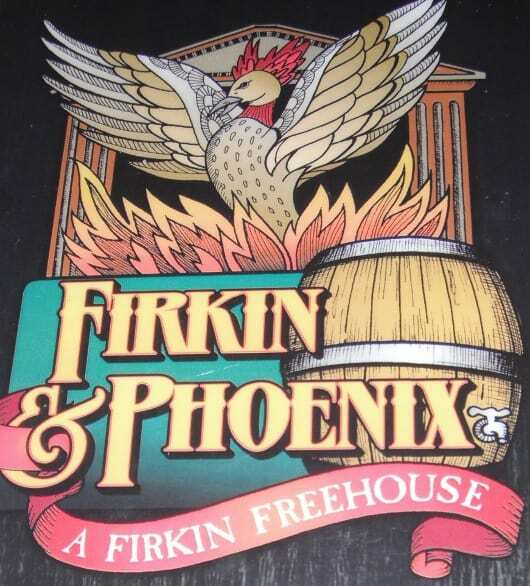 There are a lot of options in the area, but we decided to try something new and head to Firkin and Phoenix. 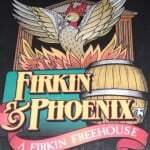 I was a little concerned about taking my kids to a pub, but since it was my Mother’s Day, I decided to try it out. To my surprise, the pub had high chairs and kids menus and was very welcoming. The English style pub was perfect for all of us. 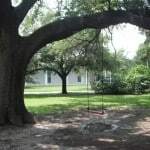 After lunch, and “drinking lots of iced tea” (my favorite), we drove over to the Menil Campus. Here there is a lot of free parking and we were able to park and walk for the rest of our adventure. 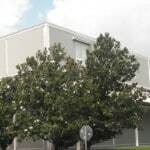 Our first stop was the Menil Collection, housed in a “big grey building”. In fact, every house and building in the campus is the trademark grey color. We did not go inside, but we could have. 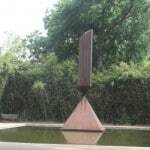 The Menil is free to the public. Instead, we went across the street to the Menil Park. 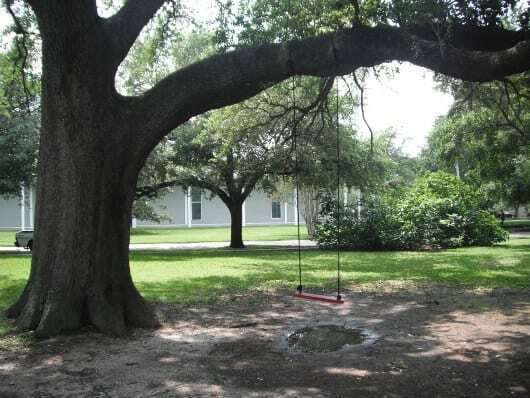 Here we found one lone “red swing” hanging from a huge oak tree. We found a spot and “ate a picnic snack” and “read a book”. After climbing some trees, we went in search of some water. 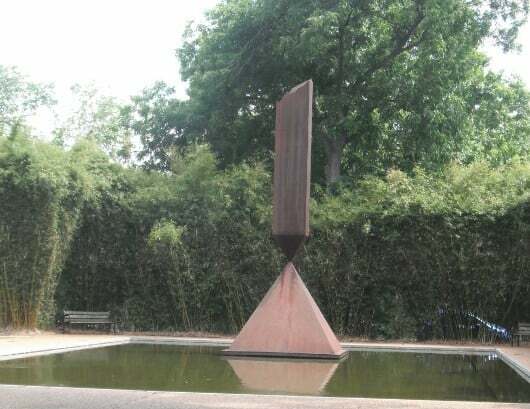 Right next to the park is the Rothko Chapel. In front of the Chapel is a reflecting pond were Joe “took a picture”. We took a quick trip into the Chapel, which is also free, before making our final two stops. Just beyond the Rothko Chapel is St. Thomas University. 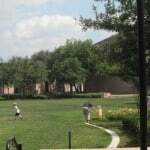 The small campus is very well kept and has a lot of green space. My kids ran through the grass in the center of the campus while I sat in the shade and checked off “go to school”. The last item on our list was “look at photographs”. 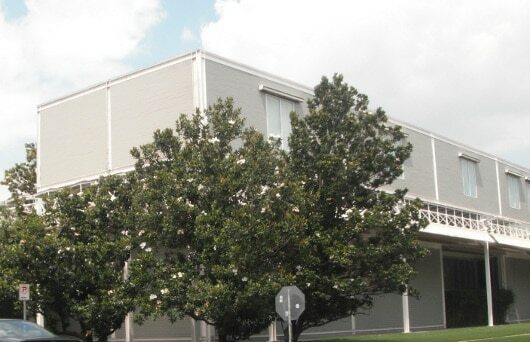 Lucky for us, just one block north of the Menil is Houston Center for Photography. We went into this free gallery, looked at the pictures and enjoyed the air conditioning. We made a small donation and crossed the last item off our list. At each stop, my kids were very serious about checking the list, finding the right words and checking the items off. Our little tour through Montrose made for a perfect Sunday afternoon.